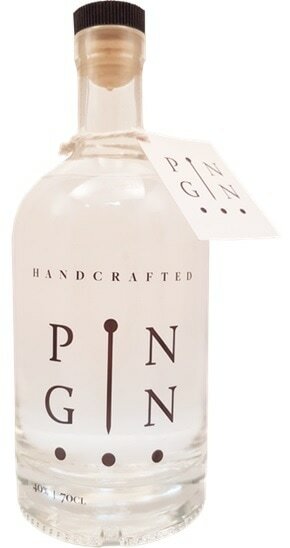 Pin Gin is Lincolnshire's first gin and was launched in 2016 by Alan Bottomley and his partner Amy. Alan's father had taught him to distill whisky and he decided to move from his career as an engineer in order to put some of these skills to use with Bottomley Distillers' first gin. Pin Gin is distilled in-house in small batches in Louth in Lincolnshire and is inspired the surrounding countryside. The gin features 10 botanicals including rose, black pepper, lavender, cucumber and ground almonds. Find out the story behind the Pin Gin name in our interview with Alan Bottomley. For a gin from neighbouring Yorkshire, try Masons Yorkshire Gin and Sir Robin of Locksley Gin. For another gin featuring cucumber, try Martin Miller's Gin. Botanicals: Juniper, black peppercorn, liquorice root, ground almonds, orange peel, lemon peel, cinnamon, cucumber, lavender, rose. "Our aim when we first began to make our gin was to encapsulate the seasons and all the tastes and smells from around Lincolshire, and to do this we have used botanicals which everybody is familiar with."